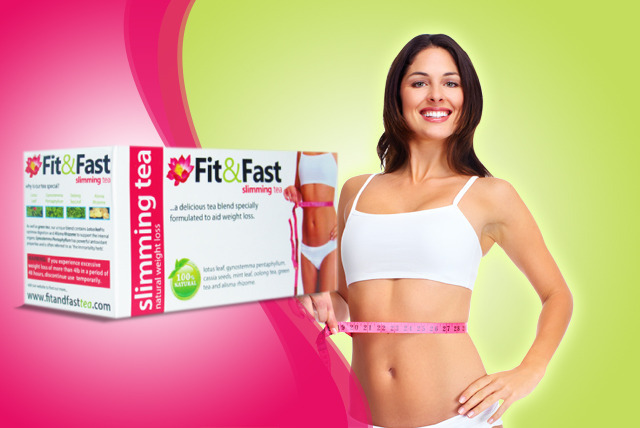 Fit&Fast Slimming Tea is the internet sensation which has helped thousands of people lose weight and feel great. It is designed to increase your energy expenditure helping you to burn more calories naturally, by supplying the body with polymerized polyphenols, in particular catechins that have been shown in studies to help burn fat through a process known as thermogenisis. Ingredients: Oolong tea leaf, lotus leaf, senna leaf, alisma rhizome, cassia seed, gynostemma pentaphyllum, green tea, l-carnitine. Directions: Drink two cups of slimming tea daily. Ideally once in the morning and late afternoon. To brew simply place one Fit&Fast slimming tea bag into a cup. Add boiling water. Leave for five minutes for the leaves to infuse. Add a spoonful of honey to taste if required. Fit&Fast Slimming Tea Co™ are a manufacturer and distributor of 100% natural weight loss slimming tea and slimming patches. They pride themselves on their company’s research and development team who are there to supply you with the very latest twenty-first-century weight management technologies for your natural weight loss journey. Ingredients in Fit&Fast Slimming Tea have been shown to significantly increases energy expenditure for up to as much as 120 minutes and promotes preferential use of fat as an energy source making it a healthy tool for reducing and maintaining weight. Moreover, the effect of ingredients in Fit&Fast Slimming Tea on blocking the absorption of fats plays a key role in its weight reducing benefits. Several of the specially selected herbal ingredients in Fit&Fast Slimming Tea are there to facilitate what scientists refer to as ‘fat oxidation’ – burning the body’s fat reserves as fuel. Fit&Fast Slimming Tea helps your body to get rid of fat rather than store it, while reducing your body’s ability to absorb fat from your food at the same time. However, it cannot do this unassisted. If you continue to eat a diet high in fat you will continue to gain weight as fat is stored in your body. Fit&Fast Slimming Tea’s exclusive formula is based on twenty first century scientific research. Fit&Fast Slimming Tea includes a blend of premium herbs and plants to help purify the body’s cells and support the essential organs through the weight loss process. Among the 100% natural ingredients include lotus leaf to optimise digestion, cassia seeds to support the internal organs, and a blend of oolong tea and green tea, all culminating to aid the body’s fat oxidation ability. One further, key ingredient is Gynostemma Pentaphyllum, a plant that has been shown in studies, has powerful anti-oxidant properties similar to ginseng, and is often referred to as ‘the immortality herb’, as its consumers can often live to a very old age. This special herb, unique to the Fit&Fast Slimming Tea formula, has a calming effect and helps to regulate the digestive system. Of course, using Fit&Fast Slimming Tea isn’t just about enjoying the health benefits associated with products packed with antioxidants and other beneficial properties shown to reduce cardiovascular disease, cancer, and obesity. It is also about knowing the slimming tea you are using is of the highest quality and produced using eco-friendly methods, at the optimum time. And to top it all off… it is 100% natural. 1How long do I need to stay on the slimming tea programme? You can stay on the Fit&Fast Slimming Tea programme for as long as you are dieting or considered over weight. Once you reach your goal weight, Fit&Fast Slimming Tea can also be used to maintain your weight, improve the condition of your skin and increase your energy levels. 2How does Fit&Fast Slimming Tea help me to lose weight? Fit&Fast Slimming Tea has two major benefits. Firstly, the synergy of ingredients supplies the body with polymerised polyphenols, in particular catechins that have been shown in studies to help burn fat through a process known as thermogenisis. Secondly, it increases your natural energy expenditure helping you to burn more calories day to day. 3What are the main ingredients in Fit&Fast Slimming Tea? In addition to the ‘Oolong’ green tea itself, also included is lotus leaf to optimise and regulate digestion, Alisma Rhizome to reduce bloating, Cassia seeds to support the internal organs, and green tea to support the internal organs, notably the heart, spleen and kidney. Fit&Fast slimming tea has been designed in line with 21st scientific research helping you get the most from your weight loss goals. 4How many cups of Fit&Fast Slimming Tea do I take each day? You are advised to drink between 1 and 3 cups of Fit&Fast Slimming Tea each day which makes it very easy to fit in with your busy lifestyle. 5When is the best time to take each cup of Fit&Fast Slimming Tea? You can drink Fit&Fast slimming tea at any time of the day, however it has been found to be more effective if drunk before breakfast and late afternoon. 6Are there any side effects to drinking Fit&Fast Slimming Tea? Fit&Fast slimming tea is a 100% natural product and works in synergy with your body, however there are a very small percentage of people who may experience loose bowel movements and mild stomach cramps. This is due to the body’s interaction with complex natural ingredients found in Fit&Fast slimming tea that break down solid fat and expel it via the bowel system. This ‘faecal fat’ expulsion will generally reduce and diminish within a very short period. In the case of more serious, long-term physical disorders, including chronic diarrhoea that lasts for more than three days, medical advice should be sought. 7Is it safe to take while on medicine or with any medical conditions? If you are on any prescribed medication or have been diagnosed with a medical condition, you should always consult with your GP before undertaking ANY kind of weight loss programme, including Fit&Fast Slimming Tea. 8Is it safe to drink Fit&Fast Slimming Tea while pregnant/breastfeeding? It is not recommend that Fit&Fast Slimming Tea is taken when pregnant or breastfeeding. 9Can anyone under 18 years old take Fit&Fast Slimming Tea? It is not advise anyone under the age of 18 to take Fit&Fast Slimming Tea, as children are still developing their bodies, so any weight loss programme may inhibit their natural development. 10How is Fit&Fast slimming tea different to normal green tea? Fit&Fast Slimming Tea’s unique blend is the only one of its kind on the market today; with premium ingredients that, when combined, work in synergy with your body. Ingredients in Fit&Fast Slimming Tea formula have been shown to significantly increases energy expenditure for up to as much as 120 minutes and can even promote preferential use of fat as an energy source making it a healthy tool for reducing and maintaining weight. Furthermore, the effect of Fit&Fast Slimming Tea on blocking the absorption of fats and carbohydrates is thought to play a key role in its weight reducing benefits. 11How is the Fit&Fast Slimming Tea made? Fit&Fast farmers hand pick the leaves of the oolong tea bush three times a year. The farmers pluck the leaves rather than roll them, to preserve the cell structure of the leaf. Only the very best leaves are used in Fit&Fast Slimming Tea, ideal in colour, size, maturity and moisture levels. The leaves are partially sun dried and then treated with high levels of heat to stop oxidation, which could spoil the tea. They undergo a specialised fermentation process which preserves the antioxidants, before being carefully blended with other key ingredients. Getting this blend exactly right is vitally important to the efficacy of Fit&Fast Slimming Tea, as each ingredient works in synergy with each other, creating an amazing tea that has a holistic effect on the body.